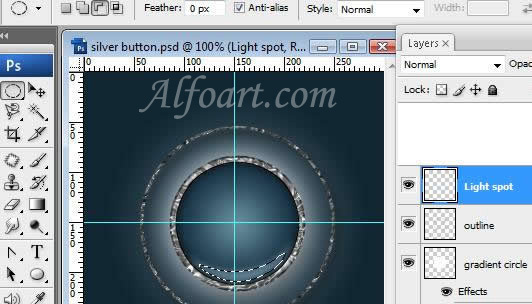 Ctrl + Click on the layer with gradient circle. (Load selection). Filter > Blur > Gaussian Blur (3). 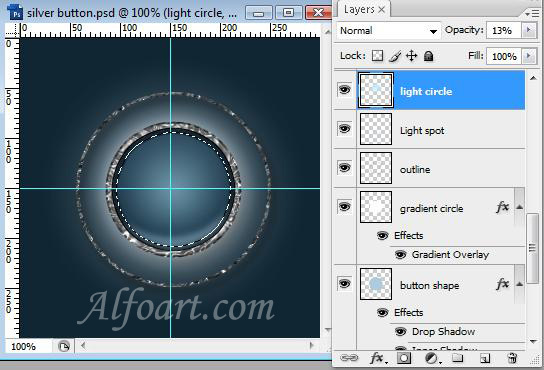 Create circle selection using Ellipse Marquee Tool. 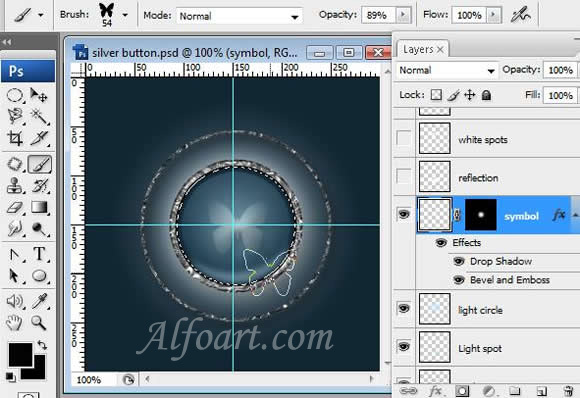 In the options bar, select Subtract From Selection Area button and cut out top part of the circle. Fill it with light color. Choose Filter > Blur > Gaussian Blur (7). 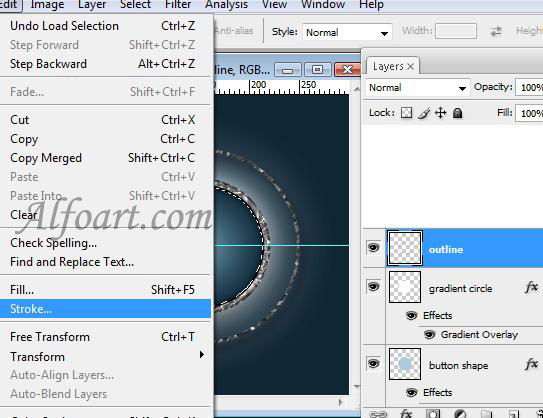 Ctrl + Click on the layer with gradient circle. Select > Modify > Contract (3). Fill selection with linear white/transparent gradient. 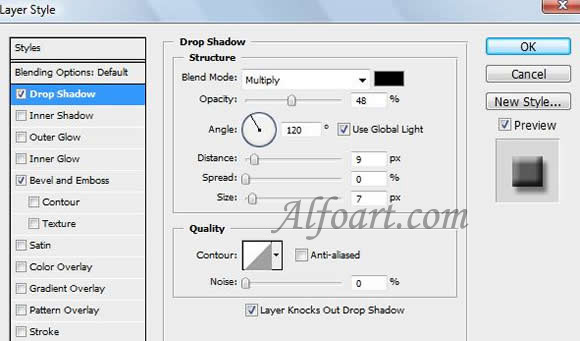 Adjust Opacity of the layer - 13%. 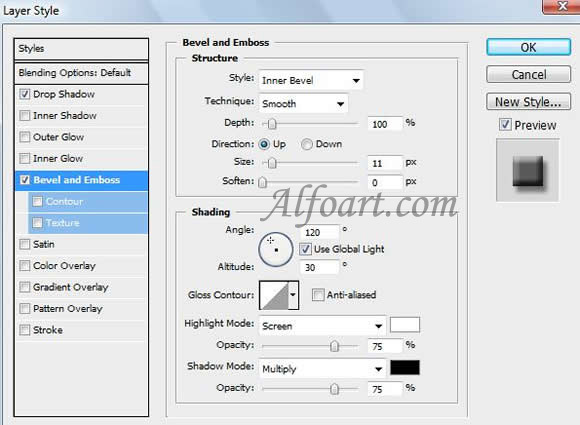 Add any symbol or letters into a new layer. I used butterfly brush (from assorted brushes) and Vector Mask with radial (black/white) gradient. 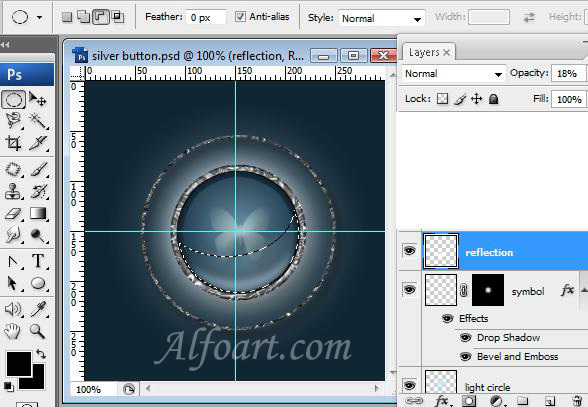 In the options bar, select Subtract From Selection Area button and cut out top part of a circle. Fill it with light color. Opacity 18%. 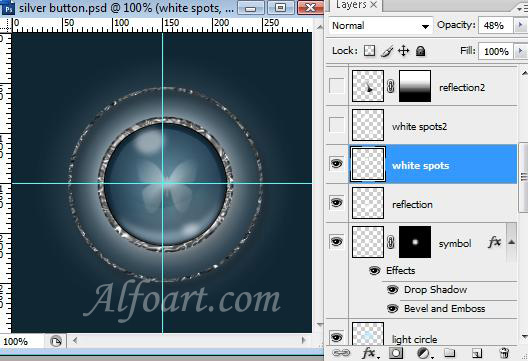 Draw two white circles, fill them with white color. Choose Filter > Blur > Gaussian Blur (8).